The fluid-filled canals of this model demonstrate the concept of equilibrium. 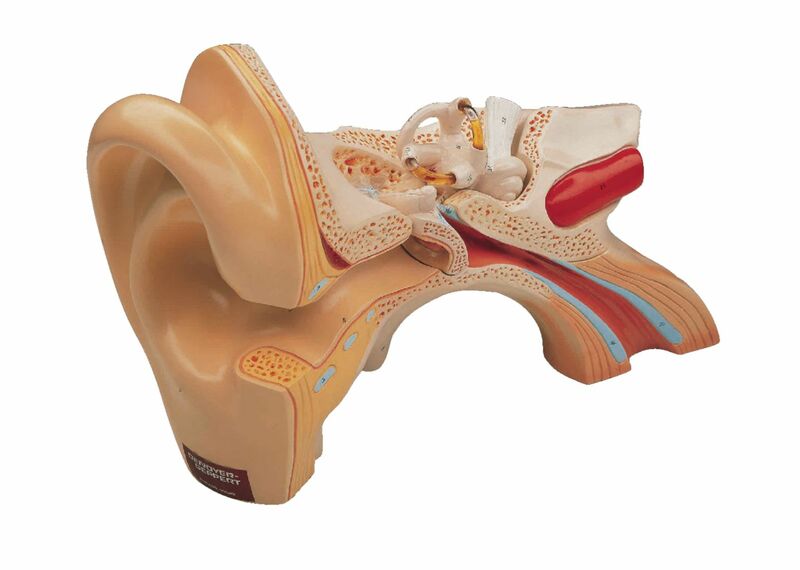 Perfect for anatomy, biology, and speech therapy courses, the 5X-enlarged model presents all ear structures in magnificent detail. Its most unique feature, two semicircular canals filled with fluid, allow students to read the air bubble as if it were a level. The labyrinth and cochlea can be removed to display the vestibule, auditory nerve, and stapes; the cochlea is dissected to show the spiral membrane that aids hearing. The three canals are color coded. 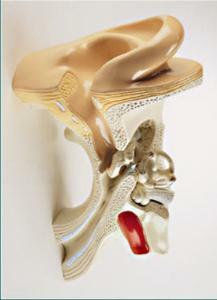 The tympanum, malleus, and the incus are also removable.